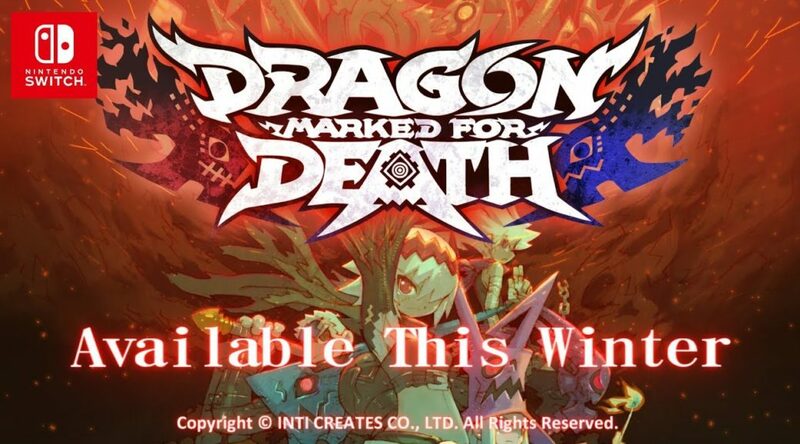 Inti Creates has announced it’ll be bringing their latest Nintendo Switch title, Dragon Marked for Death, to PAX West 2018. Players will be able to try out one single-player stage (about 10 minutes) and 3 multiplayer stages (about 5-10 minutes each). Inti Creates will be at booth 5004 on the sixth floor of the expo. Check out the official trailer and details below. With PAX West coming up next week, we are thrilled to announce that we at Inti Creates will be bringing our newest Nintendo Switch title Dragon Marked for Death to the PAX showfloor! DMFD is a side-scrolling action RPG built in a dark-fantasy setting where you can play as one of four members of the Dragonblood Clan (Empress, Warrior, Shinobi, Witch) solo or with up to four people in local or online cooperative multiplayer. Many industry veterans who worked on the Mega Man Zero games with us, some of which who haven’t who been with us since, have gotten the team back together to deliver a gaming experience fans of those games are sure to love. From character designer and pixel artist to director and producer, the entire team is bringing their extensive experience to the table! We revealed that the game will be releasing this winter at Anime Expo, and we are very excited to bring a playable demo to the gaming world at PAX West! Check out the official website to learn more about the team behind the project and the setting/characters, and see a more detailed scope of what the game has to offer.